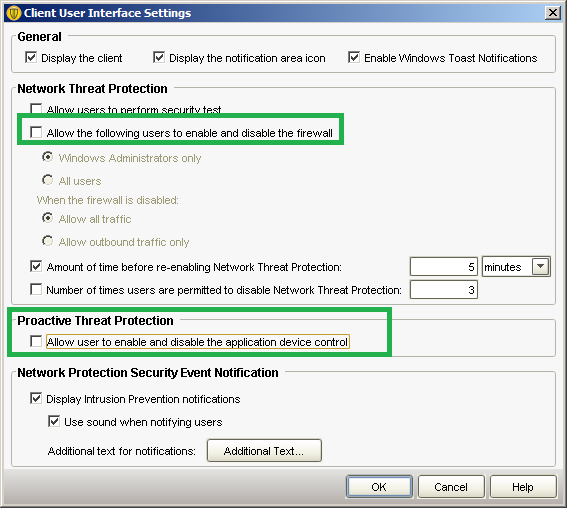 The selection item to disable all Virus and Spyware protection features is available / enabled by default. Logon to the 'SEPM' -> 'Policies' ->'Virus and Spyware Protection'. On appearing window under ' Protection Technology ' -->select 'Auto-Protect '--> put a tick mark on 'lock Enable Auto-Protect'. Press 'OK' button on the policy tab. 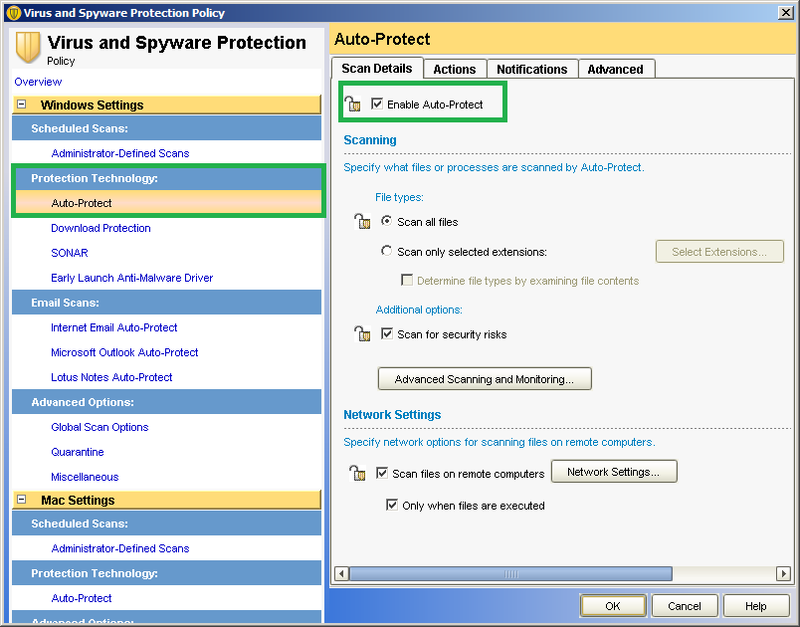 Confirm on SEP Client, the option "Disable all Virus and Spyware Protection features" is grayed out. 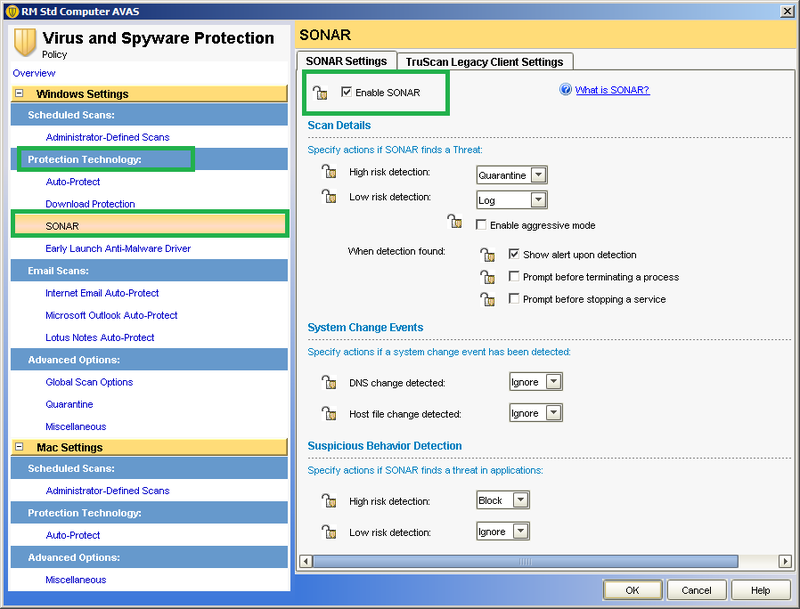 On appearing window under ' Protection Technology ' ->'SONAR' -> tick the check box for 'Lock Enable SONAR'. 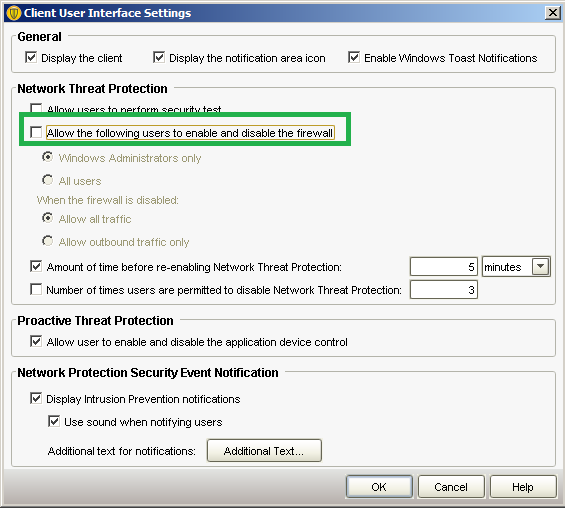 Confirm on client, the item "Disable all Proactive Threat Protection features" is grayed out. 2. It will list show you whether the clients are controlled by 'server control', 'client control', or 'Mixed control' (You will not be edit the settings of the group if those clients are under 'Client control'). 3. Now click on 'customize' button and Uncheck 'Allow the following users to enable and disable firewall'. click 'OK'. Go to 'Specific group' -> 'Policies' -> 'Location-specific Settings' -> Client User Interface Control Settings -> Tasks ->Edit settings-> Server Control >Customize >Uncheck the following two options. i) Allow the following user to enable and disable the firewall. ii) Allow user to enable and disable application and device control policy. Labels: How to prevent SEP features from being disabled in the client GUI in SEP 12.1, How to prevent users from disabling the Symantec Endpoint Protection (SEP) client features.